Dimensions 0.25 by 6 by 8.25 in. Amusement rides; Great Britain; History. Amazon.com description: Product Description: A ride on a thrill rollercoaster is the highlight of any visit to an amusement or theme park. Today's rides are at the cutting edge of technology and engineering, but they are but the latest of a long line of rides with humble roots in Russian ice slides and wooden sleigh rides. Seaside historian Martin Easdown describes the great age of these fascinating structures, from the first mass produced rollercoaster, the Switchback Railway, through to the giant wooden coasters of the inter-war period, using historic postcards and photographs to chart their development. The fullest expression of the popularity of rollercoasters was to be found at the great British seaside and popular amusement parks, such as Blackpool Pleasure Beach, Southend Kursaal and Margate Dreamland, which were created around the rides. 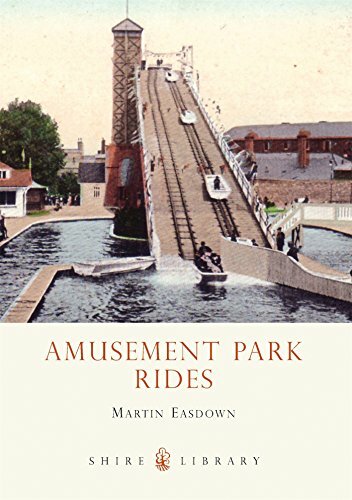 The author also goes beyond rollercoasters to other amusement rides, such as revolving towers, aerial rides, Ferris wheels and water chutes that were produced from the late Victorian era in all manner of fascinating forms. This book is a celebration of how rollercoaster and other amusements enthralled and thrilled and became a much-loved feature of our leisure industry. About: A ride on a thrill rollercoaster is the highlight of any visit to an amusement or theme park.